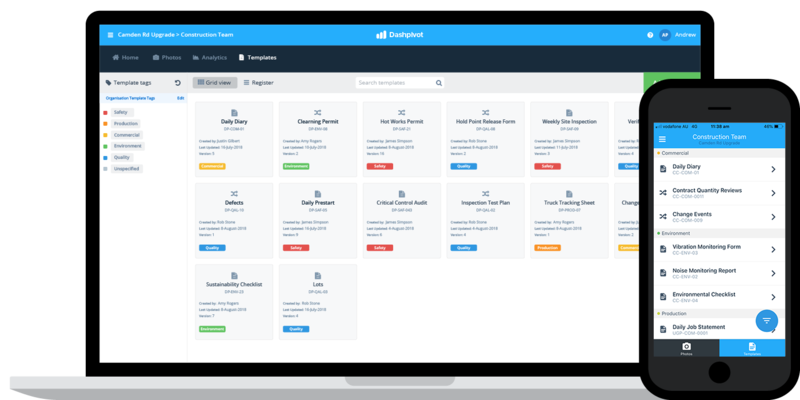 Streamline your safety checklist process from start to finish - from form creation to analysis - with flexible and easy-to-use safety management software. 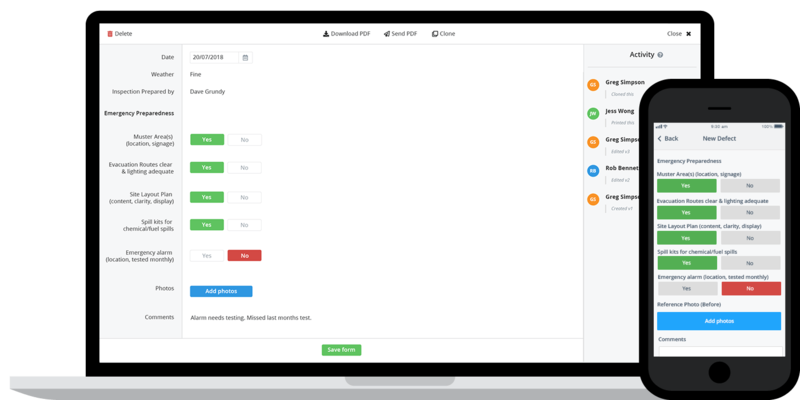 Eliminate frustrating safety checklist admin and improve your safety outcomes with the Dashpivot safety checklist software and app. 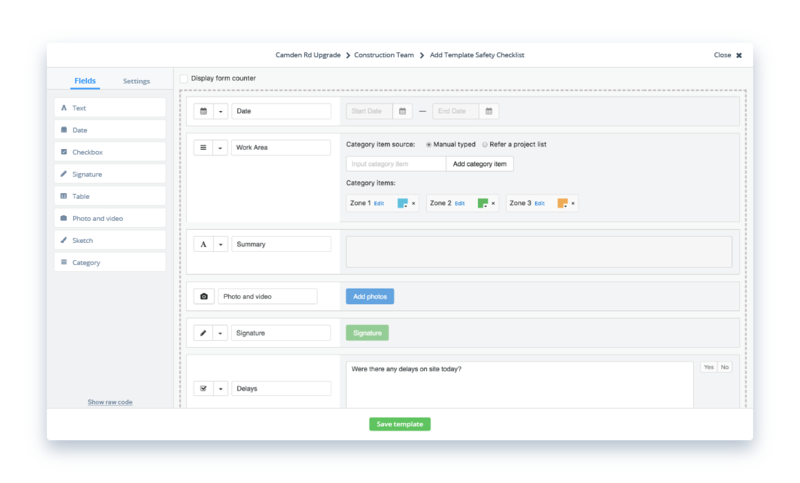 Create your own safety checklists with the flexible digital document builder, or use (and edit) our free safety checklist example templates. 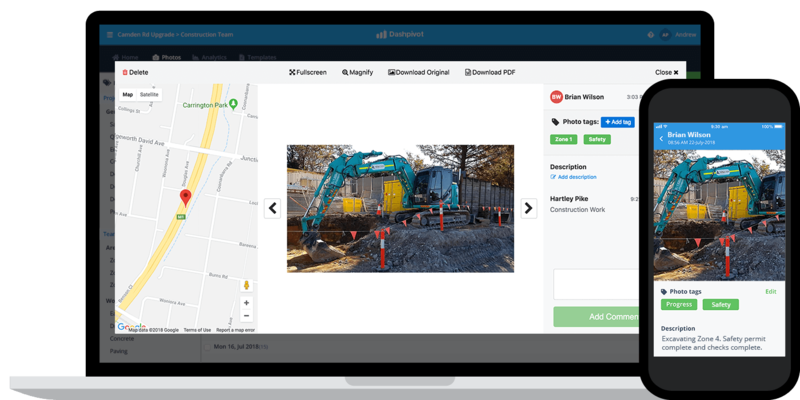 Access and complete safety checklists from anywhere, with all checklist records being securely stored in your projects and teams and updated in real-time. The iOS and Android apps were designed to make completing checklists as simple and quick as possible. Take photos inside the Dashpivot app on your phone or tablet on site. Organise your photos and videos with custom tags so they are easily searchable, and have them automatically attached to your checklists for proof and traceability. Need to get a safety checklist or safety record out of the software? Instantly print, download or send any form or checklist as a perfectly formatted CSV or PDF documents featuring your logo and brand colours. Try this proven safety software and safety checklist app for free. 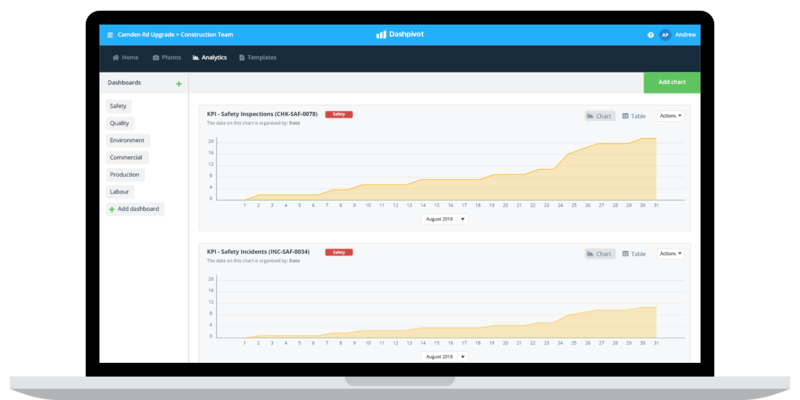 The safety checklist app and software automatically aggregate all of your checklist form data so you can create custom dashboards and automated charts which show you safety performance in real-time. 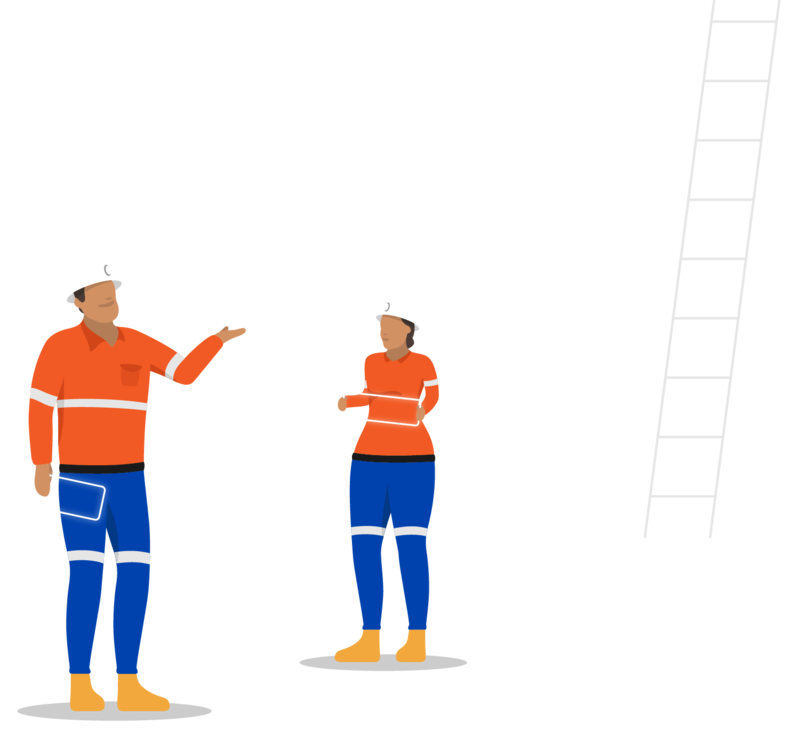 For example, see how many safety inspections a person, team, project or organisation has done - or how many safety incidents there have been in the past month. 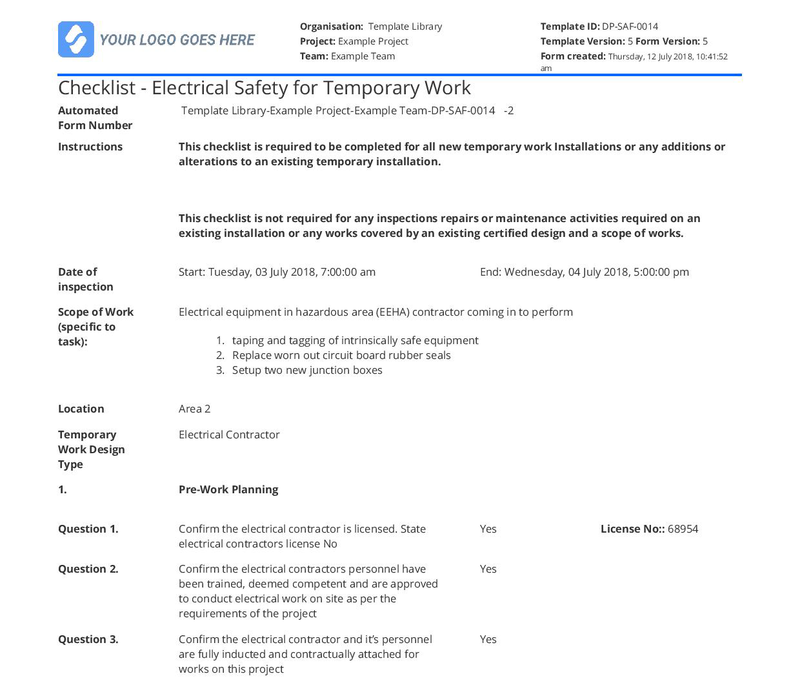 See and find your safety checklists and safety forms in chronological order for easy traceability. Display and edit all of your safety checklist entries in a register. Just like excel, but integrated with your other work. More than safety checklist software. Managing safety checklists with a single tool and then your other processes with others is frustrating and time-consuming. 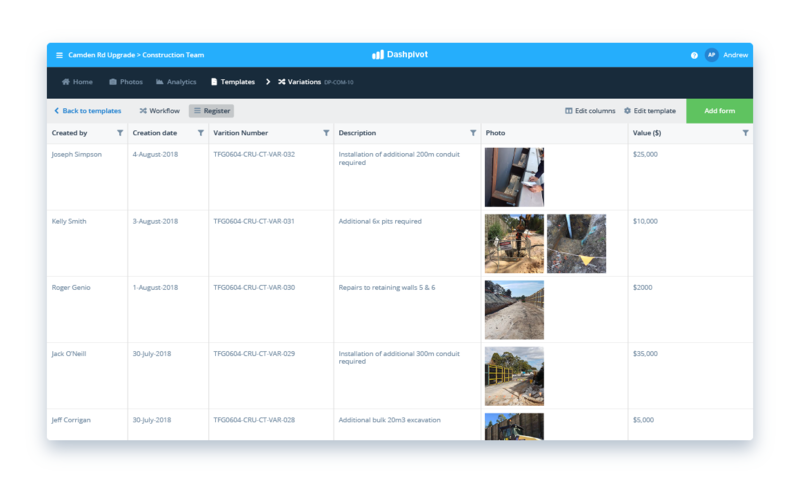 Consolidate more of your safety processes into a single system with Dashpivot, including safety reporting and permitting. 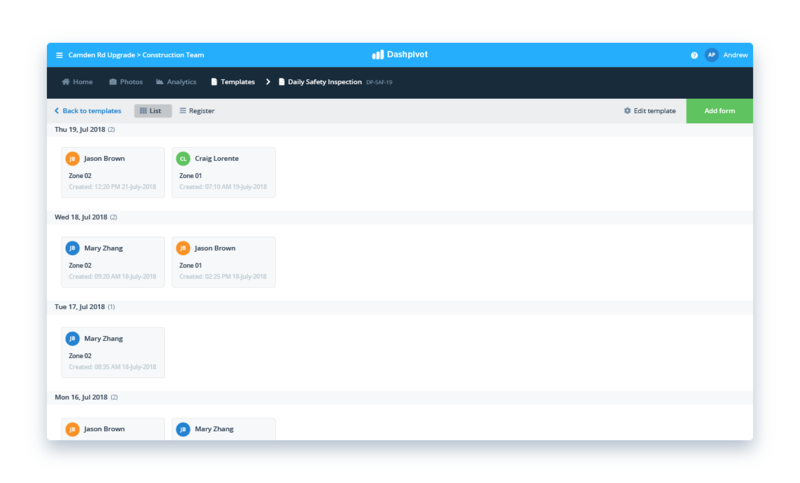 Streamline your safety checklists and reports with Dashpivot today.